EFN 53: Day 2 from October 8, 2016. 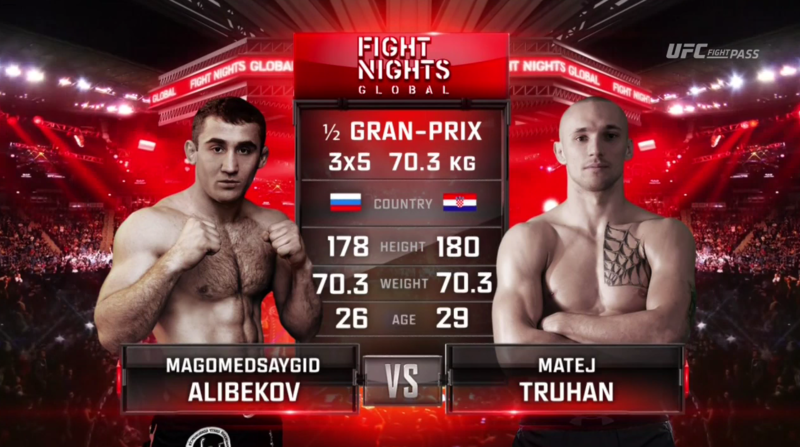 Magomedsaygid Alibekov vs Matej Truhan EFN 53 Day 2 Oct 8, 2016 (22:15) Magomedsaygid Alibekov vs Matej Truhan at EFN 53 Day 2 from October 8, 2016 in Moscow, Russia. 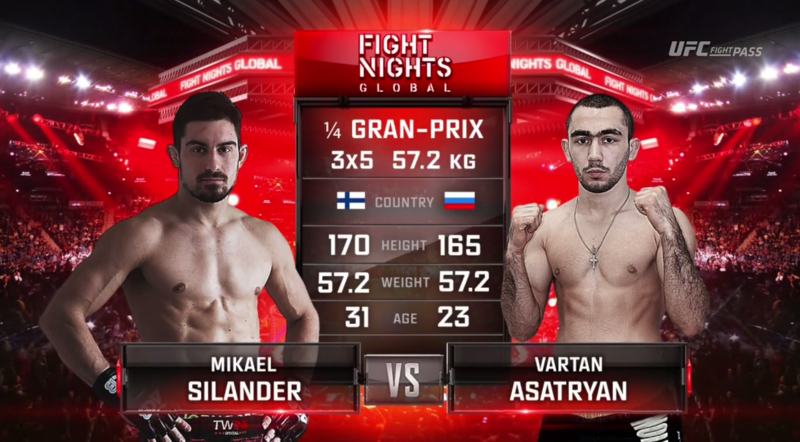 Vartan Asatryan vs Mikael Silander EFN 53 Day 2 Oct 8, 2016 (20:38) Vartan Asatryan vs Mikael Silander at EFN 53 Day 2 from October 8, 2016 in Moscow, Russia. 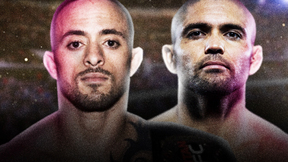 Shamil Amirov vs Sanzhar Azhibaev EFN 53 Day 2 Oct 8, 2016 (18:32) Shamil Amirov vs Sanzhar Azhibaev at EFN 53 Day 2 from October 8, 2016 in Moscow, Russia. 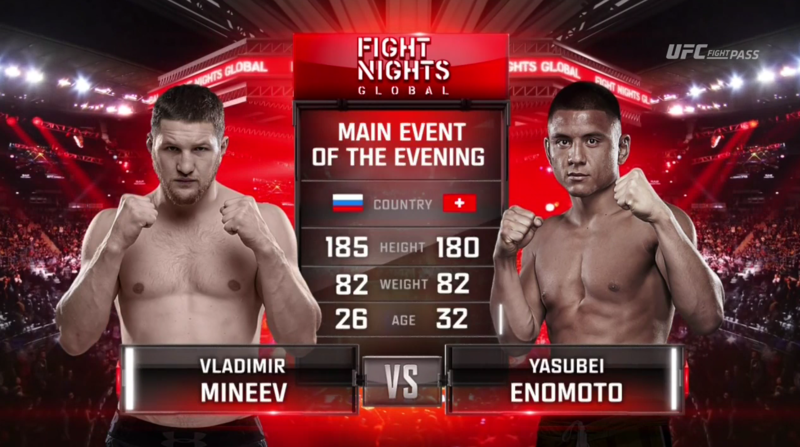 Vladimir Mineev vs Yasubey Enomoto EFN 53 Day 2 Oct 8, 2016 (39:29) Vladimir Mineev vs Yasubey Enomoto at EFN 53 Day 2 from October 8, 2016 in Moscow, Russia. 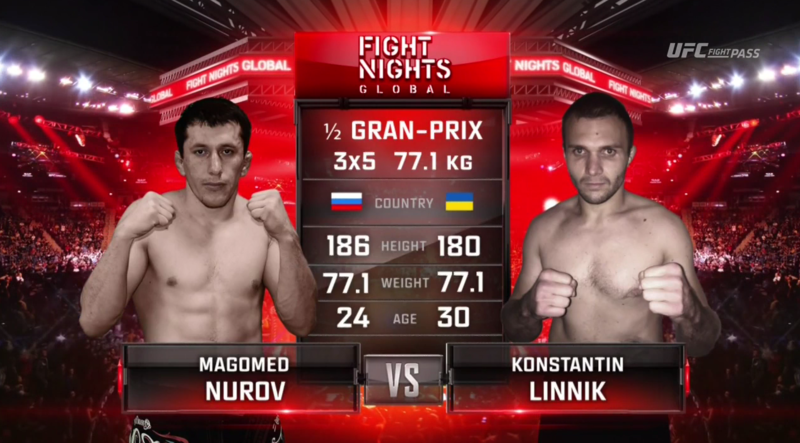 Magomed Nurov vs Konstantin Linnik EFN 53 Day 2 Oct 8, 2016 (14:20) Magomed Nurov vs Konstantin Linnik at EFN 53 Day 2 from October 8, 2016 in Moscow, Russia. 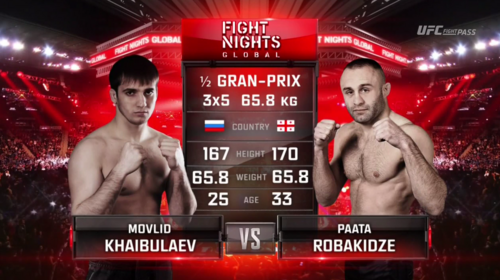 Movlid Khaibulaev vs Paata Robakidze EFN 53 Day 2 Oct 8, 2016 (9:16) Movlid Khaibulaev vs Paata Robakidze at EFN 53 Day 2 from October 8, 2016 in Moscow, Russia. 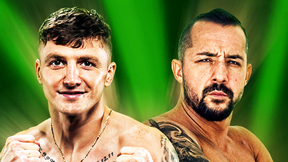 Elnar Ibragimov vs Oleg Lichkovaka EFN 53 Day 2 Oct 8, 2016 (25:43) Elnar Ibragimov vs Oleg Lichkovaka at EFN 53 Day 2 from October 8, 2016 in Moscow, Russia. 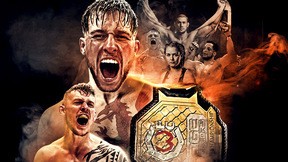 Aliaskhab Khizriev vs Sergiy Kobchik EFN 53 Day 2 Oct 8, 2016 (11:04) Aliaskhab Khizriev vs Sergiy Kobchik at EFN 53 Day 2 from October 8, 2016 in Moscow, Russia. 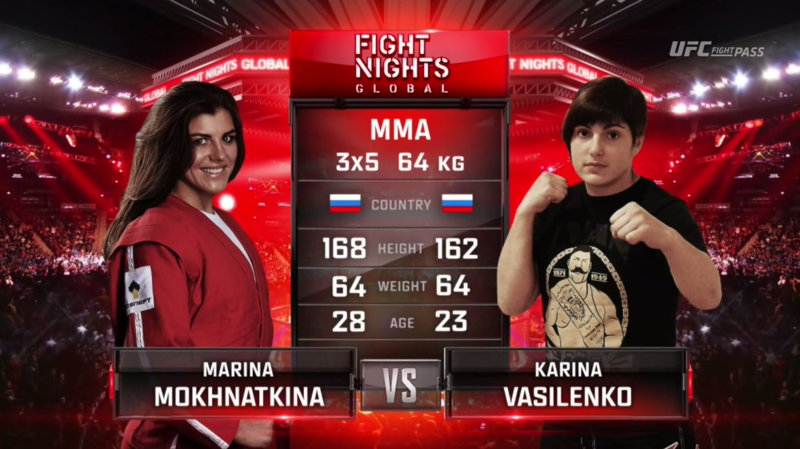 Marina Mokhnatkina vs Karina Vasilenko EFN 53 Day 2 Oct 8, 2016 (8:39) Marina Mokhnatkina vs Karina Vasilenko at EFN 53 Day 2 from October 8, 2016 in Moscow, Russia. 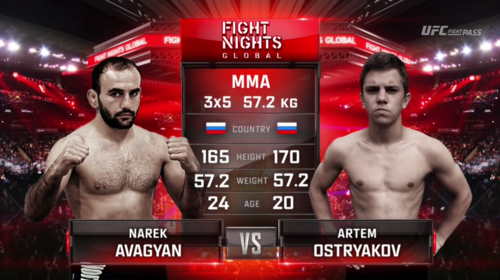 Narek Avagyan vs Artemm Ostryakov EFN 53 Day 2 Oct 8, 2016 (8:33) Narek Avagyan vs Artemm Ostryakov at EFN 53 Day 2 from October 8, 2016 in Moscow, Russia. 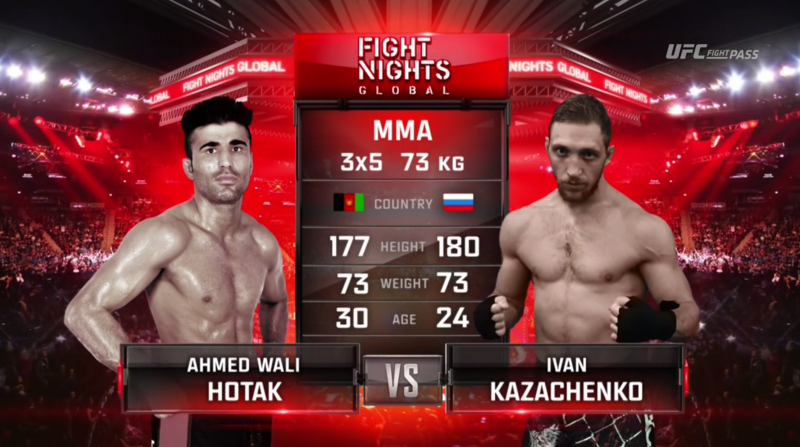 Ahmed Wali Hotak vs Ivan Kasachenco EFN 53 Day 2 Oct 8, 2016 (20:48) Ahmed Wali Hotak vs Ivan Kasachenco at EFN 53 Day 2 from October 8, 2016 in Moscow, Russia.